Susan Olenchuk counsels clients in the oil and gas industry on pipeline safety matters before the Pipeline and Hazardous Materials Safety Administration’s (PHMSA) Office of Pipeline Safety, and on rate, tariff, certificate, compliance and enforcement matters before the Federal Energy Regulatory Commission (FERC). She also represents clients in federal courts of appeal. Susan helps operators of gas transmission and distribution pipelines, hazardous liquid pipelines and LNG facilities navigate day-to-day compliance questions involving PHMSA’s pipeline safety regulations. She helps clients think through how the regulations and other guidance apply in both routine and unanticipated operational situations and affect company decision-making. Susan assists clients in enforcement matters before both PHMSA and state agencies, working with in-house counsel, engineers, and consultants to prepare thoughtful, well-supported factual and legal arguments to help achieve satisfactory outcomes and ensure the preservation of due process. 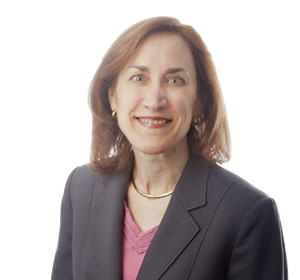 Susan also counsels on rulemaking proceedings and legislative matters and she provides on-site seminars and training on PHMSA programs, policies, processes and jurisdiction. Susan counsels on rate, tariff, certificate, compliance and rulemaking proceedings affecting natural gas pipelines. She advises on corporate compliance matters under FERC’s affiliate Standards of Conduct and undue preference requirements under the Natural Gas Act. She also assists clients in evaluating internal processes and procedures and in developing workable and effective compliance plans and training materials that reflect best practices, conform with regulatory guidance and mandates, and achieve corporate objectives. Helps operators assess the impact of new PHMSA regulations in rate and abandonment proceedings before FERC. Provides training and seminars to management, operational staff, and in-house legal staff regarding PHMSA jurisdiction and regulatory programs. Advises natural gas pipelines and customers in rate, tariff, certificate, and rulemaking proceedings. Assists interstate gas pipelines with pipeline FERC rate and abandonment implications of pipeline safety regulatory developments. Counsels natural gas pipelines and LDCs on implementation and compliance issues arising under FERC’s affiliate Standards of Conduct and undue preference policies. Counsels pipelines on jurisdictional issues associated with natural gas transportation and storage services provided under Section 311 of the NGPA. Panel Moderator, "The Future of Safety Regulation of Underground Natural Gas Storage Facilities"
Panelist, "Pipeline Safety: Understanding Federal and State Regulatory Programs which affect Midstream Pipeline Operations"